Provides the first comprehensive review of the current state of the science on tills It is critical that glacial scientists continue to refine their interpretations of ancient archives of subglacial processes, specifically those represented by tills and associated deposits, as they form the most widespread and accessible record of processes at the ice-bed interface. Unfortunately, despite a long history of investigation and a lexicon of process-based nomenclature, glacial sedimentologists have yet to reach a consensus on diagnostic criteria for identifying till genesis in the geological record. What should be called till? Based on the author s extensive field research, as well as the latest literature on the subject, this book attempts to provide a definitive answer to that question. It critically reviews the global till literature and experimental and laboratory-based assessments of subglacial processes, as well as the theoretical constructs that have emerged from process sedimentology over the past century. 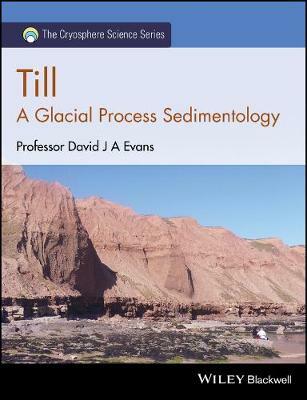 Drawing on a wide range of knowledge bases, David Evans develops a more precise, contemporary till nomenclature and new investigatory strategies for understanding a critical aspect of glacial process sedimentology. * Provides an in-depth discussion of subglacial sedimentary processes, with an emphasis on the origins of till matrix and terminal grade and the latest observations on till evolution * Describes contemporary laboratory and modelling experiments on till evolution and techniques for measuring strain signatures in glacial deposits * Develops an updated till nomenclature based on an array of knowledge bases and describes new strategies for field description and analysis of glacial diamictons Written by an internationally recognised expert in the field, this book represents an important step forward in the modern understanding of glacial process sedimentology. As such, Till: A Glacial Process Sedimentology is an indispensable resource for advanced undergraduates and researchers in sedimentology, glacier science and related areas.